Today i am going to continue my investigation into the Provençal Costume by talking about something which may be surprising in such a warm climate, namely, quilted clothing. 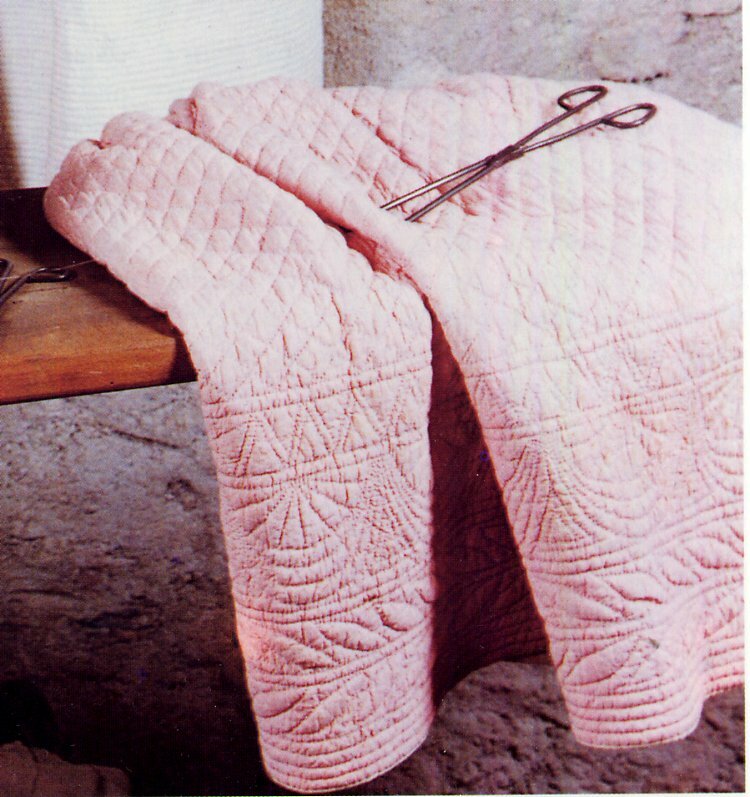 Quilted clothing is extremely widespread, as far as China, being a practical way to produce warm clothing. 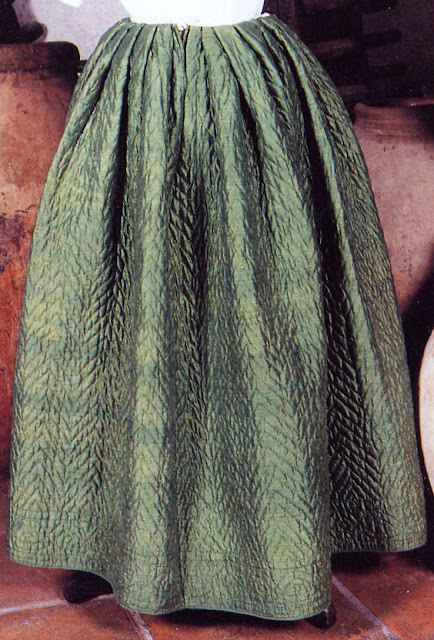 There are three garments worn as part of this costume which are sometimes quilted, the corset or bodice, the petticoat, and the skirt. Obviously these are more commonly worn in winter, but the skirt especially is sometimes worn even in warm weather for special occasions, such as weddings. 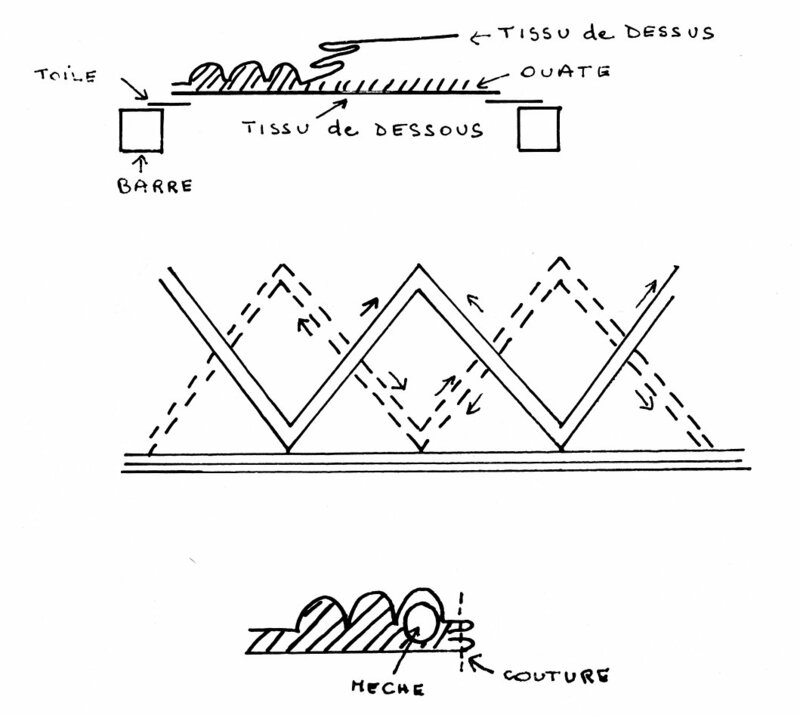 There are two types of 'corset' or bodice worn in Provençe, with a lace up front, or an overlapping front which is pinned shut. The peasant class, the Paisanne, often wears a laced bodice as the sole outer garment, made of a double layer of colored or striped cloth. 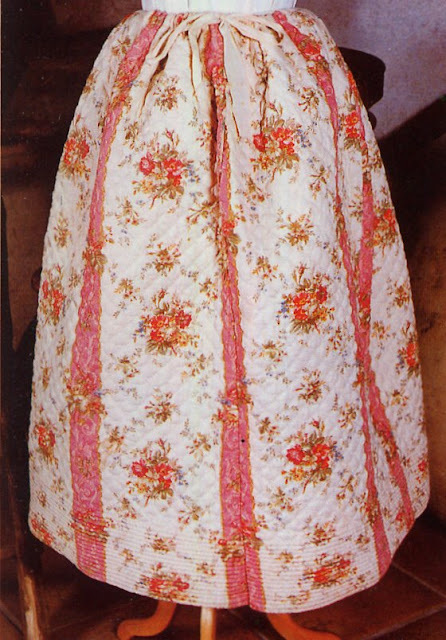 The Artisanne and the Bastidanne most commonly wear the bodice or corset which is pinned shut across the front. The back has a fold with lacing to adjust the corset to the body and provide support for the torso. 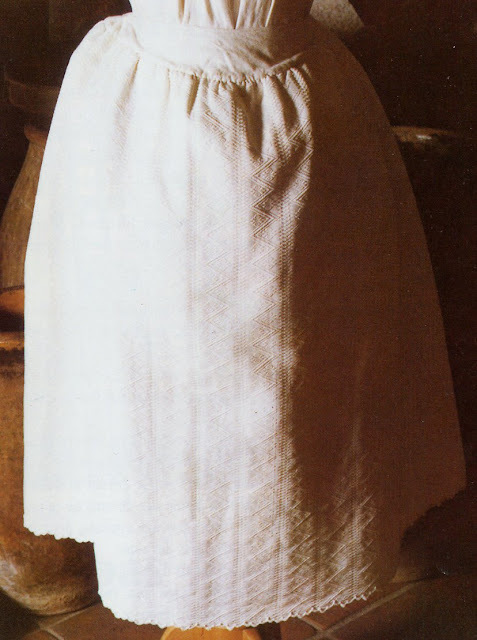 This type of bodice/corset is worn over the chemise and under the dress or jacket 'caraco'. The corset is usually white or off-white, made of a double layer of cloth, and often finely quilted. 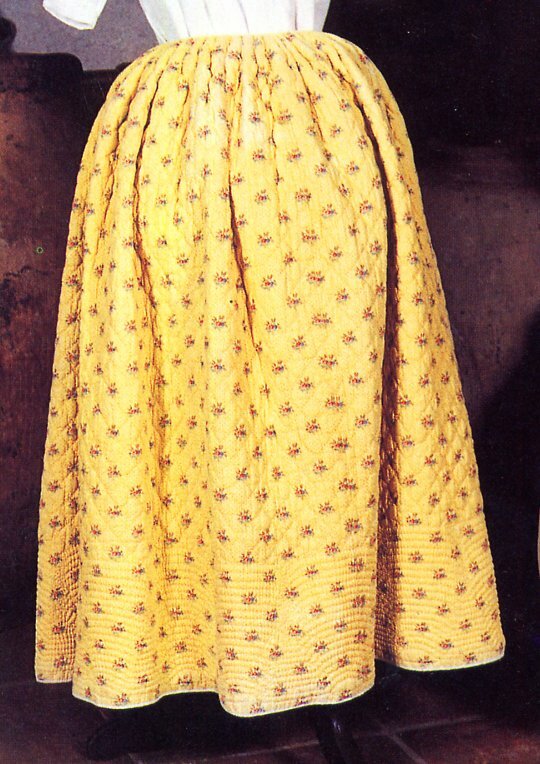 Here is a photo of such a corset. 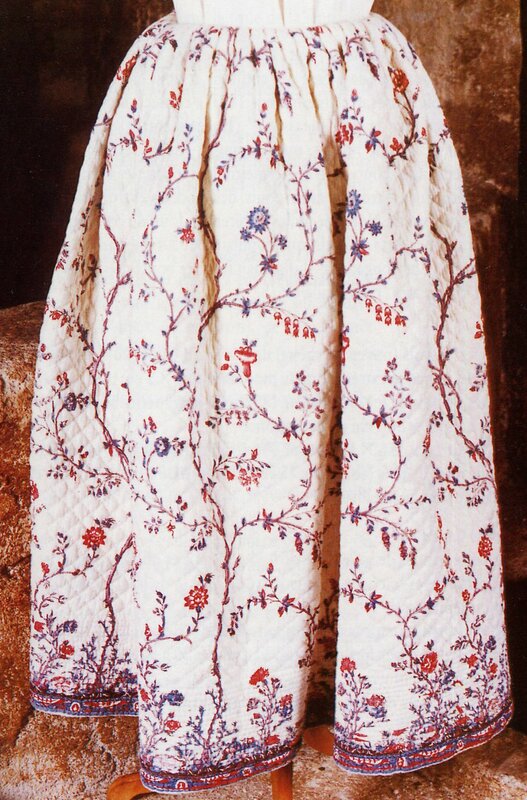 Another similar garment is the petticoat, which in cooler weather is quilted the same way. 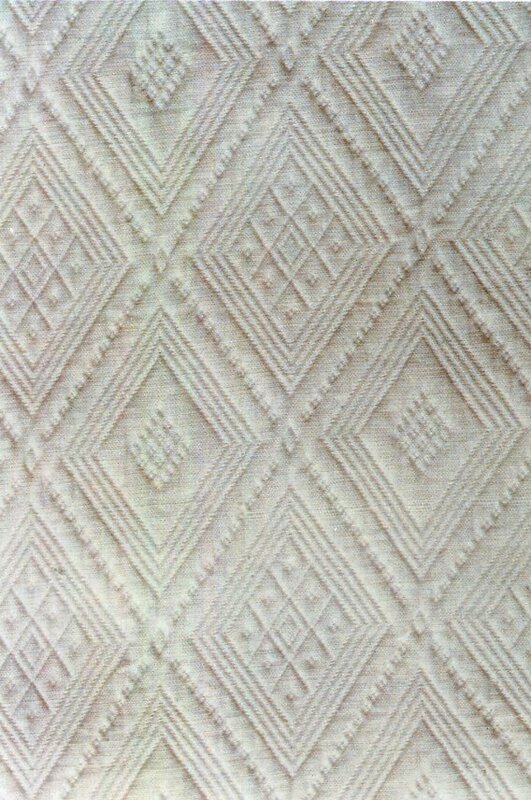 These garments are made with minimal wadding or none at all, and often show very elaborate geometric and/or floral designs quilted into them. Here are some examples. More surprisingly, perhaps is a skirt worn by the upper class, the 'Bastidanne', which is sewn and quilted just like a comforter, and is considered to be a very formal garment. The normal skirt averages about 4.5 m around, but the quilted skirt runs about 2.6 m. The regular skirt is called 'jupe', but the quilted skirt goes by the special name of 'Cotillon'. 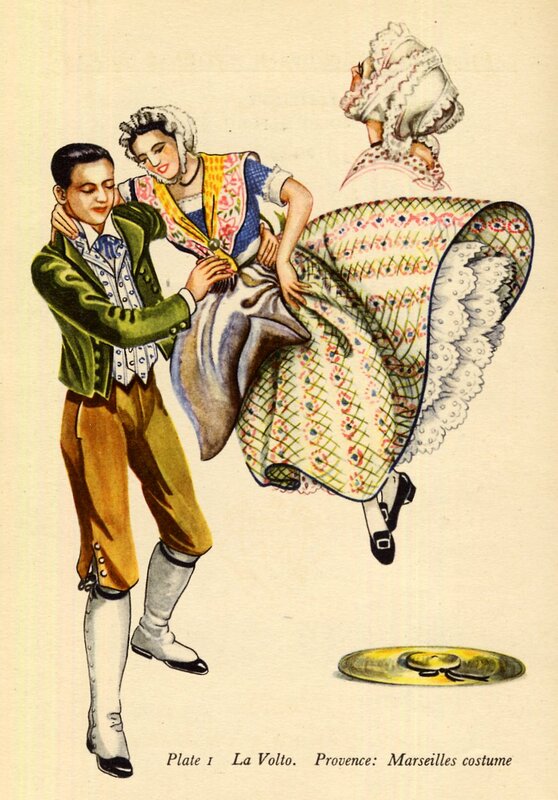 Here is a drawing by Lucille Armstrong showing this version of the Provençal Costume. 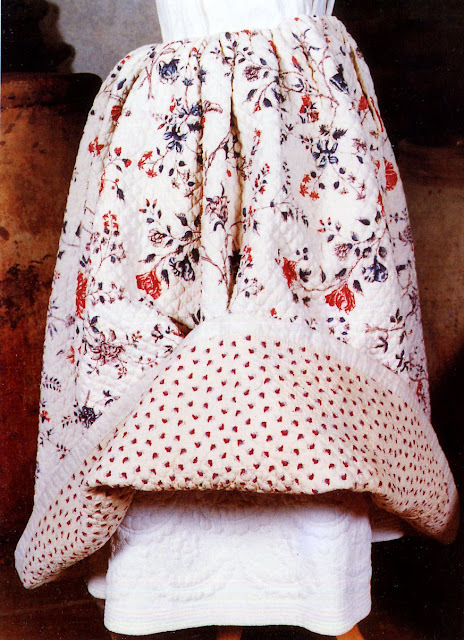 This is more or less the upper class, Bastidanne Costume, except that the sleeves on the jacket are usually longer, and the fichu is normally of whitework. 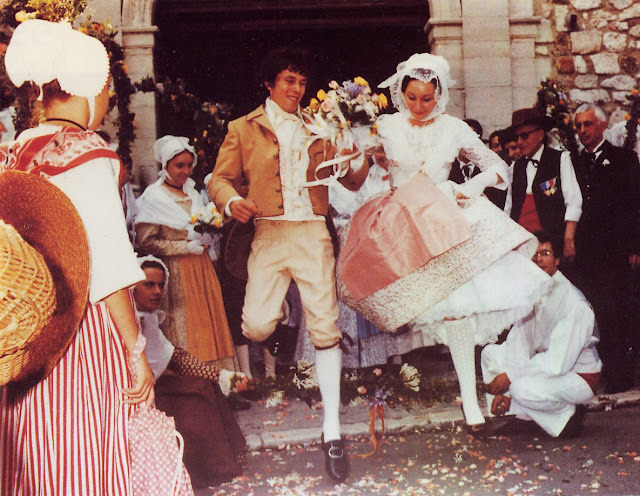 Here is another photograph of a Provençal wedding, with both the bride and groom in the Bastidanne Costume. It is very refreshing to see people maintain their own traditions instead of submitting to the cookie cutter white elephant wedding gown of standard western culture. The woman standing at the left and the man kneeling at the right are both in Paisanne Costume, while the two women standing and kneeling behind the groom are both in Artisanne Costume. 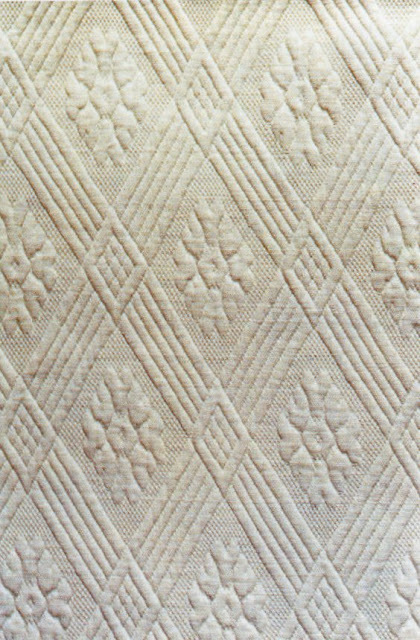 If you look closely, you can see that the bride is wearing a quilted 'cotillon'. 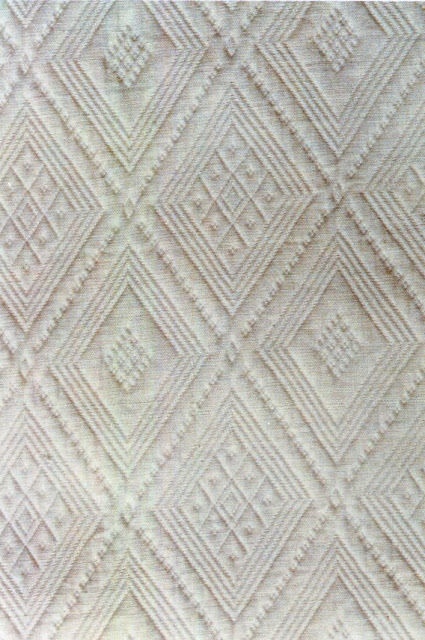 If the cotillon is made of a printed material, then usually the quilting is made up of a grid of diamonds over the body of the garment, with parallel lines of quilting on the bottom edge. 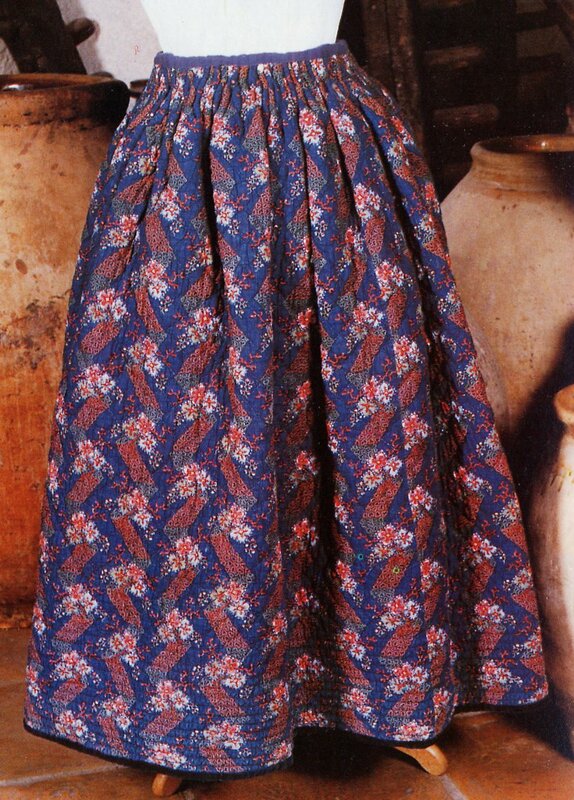 These skirts are made in a wide variety of colors and print designs. 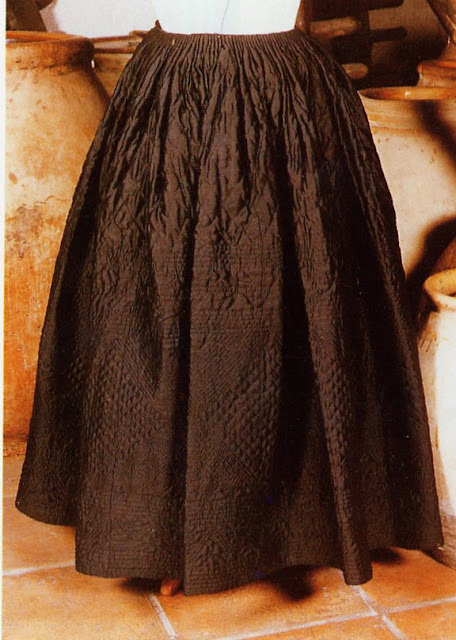 These skirts are made by putting the lining cloth on a stretcher, then placing the wadding on top, and the outer cloth is then quilted by hand on top. The bulk of the texture of the quilting shows on the outside, and the inside is relatively flat. 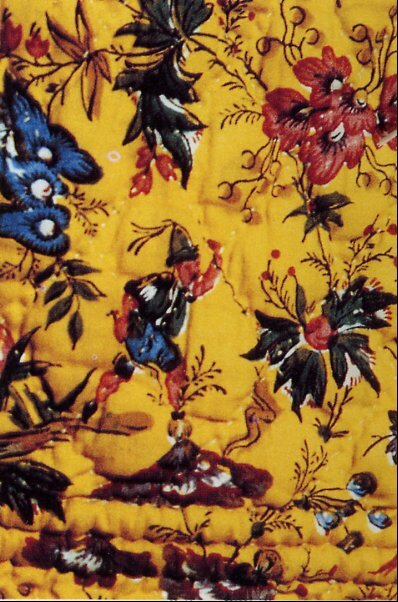 There is a second type of cotillon which is made, in which the surface cloth is of a solid color, often a rich silk. A band of design is inserted between the diamond grid of the body of the cotillon and the parallel pipes of the hem. 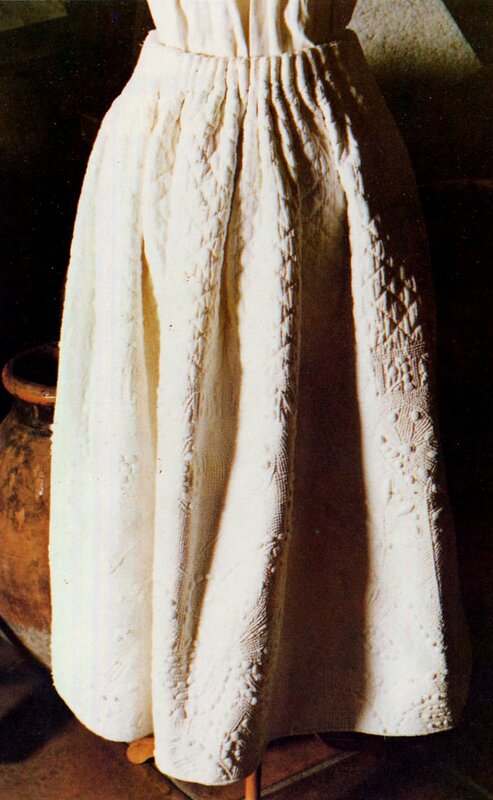 Here is a photo of the Bastidanne costume including such a cotillon. The solid color of the top cloth enables the quilted design to be seen and appreciated. 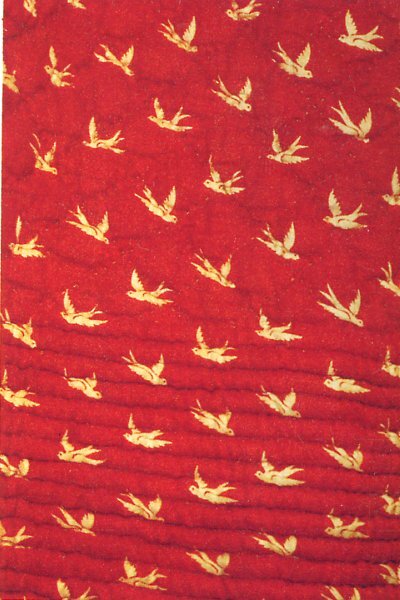 Those who wish to make more ambitious quilted designs choose to do this. The inserted design varies significantly in width. Here are a couple more examples. Here are some examples of the types of designs which are inserted. 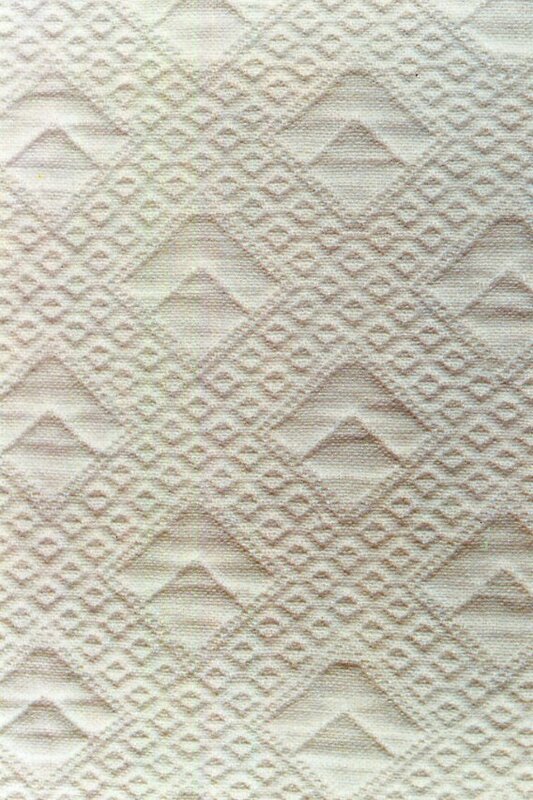 Each horizontal band is a separate design. There is yet one more type of cotillon which is sometimes found. Occasionally a girl makes one specifically for her wedding. 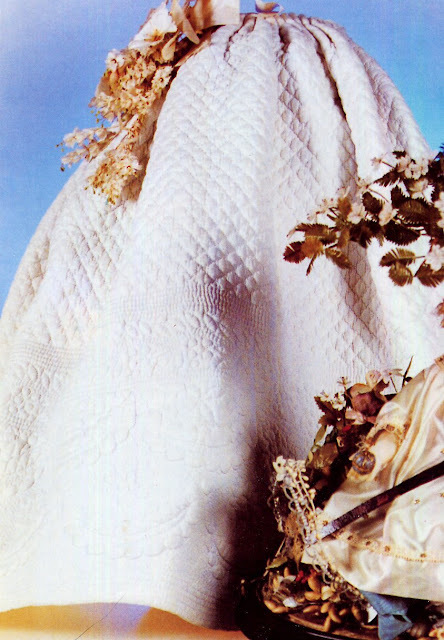 While the dress for the wedding may be of any color, this particular type is often white. 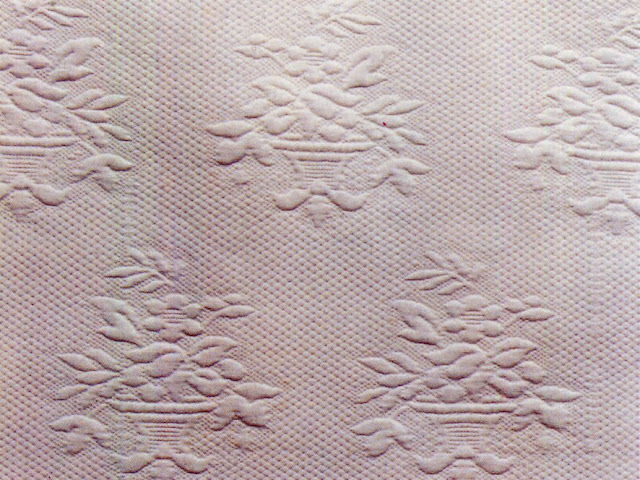 The added design makes a very wide band, but instead of being arranged in bands, the design consists of various images symbolic of a wedding, fruit, flowers, arches, baskets, hearts etc. scattered around the band. 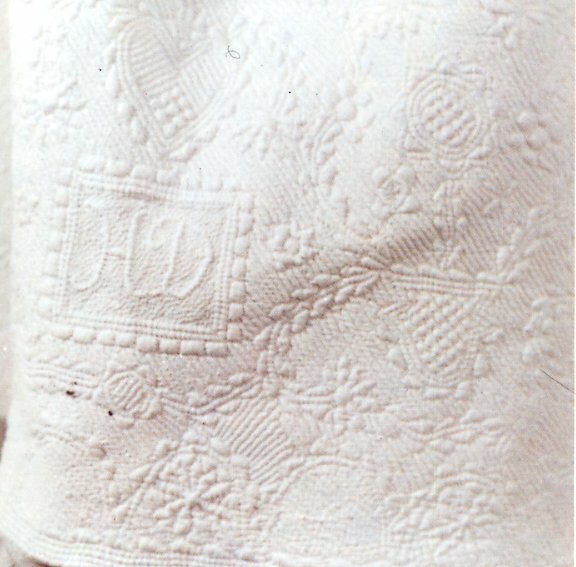 Usually this includes the bride-to-be's initials, and can also include inscriptions such as short prayers or 'this skirt belongs to demoiselle X'. These are obviously a lot of work and are often handed down as heirlooms within the family. Here are a couple of examples. I found this tradition of handiwork surprising, and I hope that you find it interesting and inspiring. Let us make and wear things that are not the same as everyone elses. Let us look to the traditions of the past when everyone contributed to the development of traditions.